Some people wear their hair extensions every day, while others only wear them for special occasions. Regardless of your situation, taking good care of your extensions will extend their lifespan and ensure they look great whenever you want to wear them. 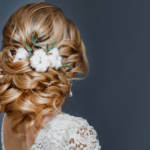 When you learn how to care for hair extensions, you’ll discover that the techniques are very similar to caring for natural hair. 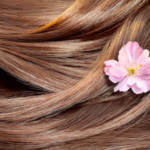 There are just a few extra steps to take, but here are some of the most basic care tips for your hair extensions. No matter how hard you try to prevent it, tangling is going to happen. All you can really do is prevent major tangles by brushing your extensions gently and doing so often. Especially brush them before you apply them and immediately after you remove them. You can also carry a brush with you and run it through them a couple times throughout the day, depending on the activities you’re doing. Wash hair extensions by filling a sink full of warm water and running your fingers through the strands gently. The best shampoo and conditioner for extensions will not include sulfate, since that ingredient has a tendency to dry them out. Extensions don’t need to be washed nearly as often as natural hair. 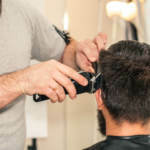 In fact, most people only wash them as needed, which is usually when there is an abundance of product buildup preventing them from being styled easily. Sulfate free shampoo is the best shampoo and conditioner for extensions for a couple of reasons. Sulfate can dry out the hair and make the hair color fade over time. 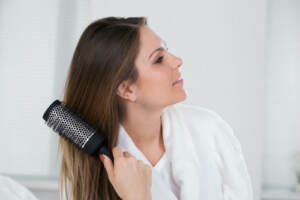 A gentle sulfate free shampoo may not necessarily keep the hair extensions moisturized to the extent necessary, but it will prevent further drying out, which could lead to damage. You will likely be able to get several more uses out of your hair extensions by shampooing them properly. Possibly the best piece of advice for people wondering how to care for hair extensions is to ensure they are stored properly. Check for dryness throughout, remove all of the tangles and store them in a container away from direct sunlight. Many people store them in the box they came in, but any box will usually do as long as they won’t tangle with other products and are placed in a dry and cool place. RemySoft wants to help you care for your hair extensions. We have some of the best products available for extensions and are here to help answer any questions you have about yours. To learn more about hair extensions and how to ensure they look great for as long as possible, don’t hesitate to contact us at any time.